Illegally confining or abducting a person can be considered offenses against the person under state law. If an alleged offender crosses state lines or national borders with an alleged victim, the crime could result in federal charges. While parents understandably fear their children being kidnapped by complete strangers, many kidnapping charges actually involve the parents acting in defiance of a court order. Other kidnapping offenses can involve a domestic dispute between a husband and wife or girl friend and boyfriend. Kidnapping can be charged as either a misdemeanor or a felony offense. The most serious charges for kidnapping can result in a lengthy prison sentence of steep fines. Related offenses to kidnapping often including battery, interring with a custodial relationship, or unlawful restraint (often called “false imprisonment”). Were you recently arrested in Texas for allegedly kidnapping another person? You will want to make sure that you immediately retain experienced legal counsel. 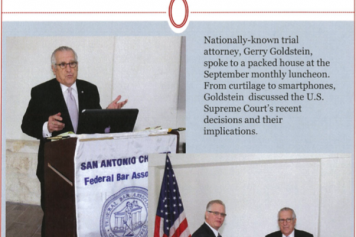 The San Antonio criminal defense attorneys of Goldstein, Goldstein, Hilley & Orr have been fighting to get justice for clients facing these types of charges since 1968. Call (210) 226-1463 or complete an online contact form today to set up a free consultation that will let our lawyers review your case after an allegation of kidnapping or aggravated kidnapping. What is the difference between unlawful restraint and kidnapping in Texas? How are penalties different in federal cases? Where can I find more information about kidnapping in San Antonio? The specific charge that an alleged offender faces depends on whether an alleged victim was restrained or abducted. Texas Penal Code § 20.01 defines restrain as meaning “to restrict a person’s movements without consent, so as to interfere substantially with the person’s liberty, by moving the person from one place to another or by confining the person.” Restraint is done without consent if it is accomplished by force, intimidation, or deception, if the alleged victims are children under 14 years of age whose parents or guardians have not accepted the restraint, or if the alleged victims are 14 years of age or older and younger than 17 years of age, their parents or guardians have not accepted the restraint, and they are taken outside of the state and outside a 120-mile radius from their residence. When alleged offenders intentionally or knowingly restrain another person, they can be charged with unlawful restraint. This crime is generally a Class A misdemeanor punishable by up to one year in jail and/or a fine of up to $4,000, but the offense can be classified as a state jail felony punishable by up to two years in jail and/or a fine of up to $10,000 if the alleged victim was a child younger than 17 years of age. While in custody restrains any other person. When an alleged offender abducts an alleged victim, the criminal offense becomes kidnapping. To abduct victims means to restrain people with intent to prevent their liberation by holding them in a place where they are not likely to be found or using or threatening to use deadly force. Aggravated kidnapping is a first-degree felony punishable by up to 99 years or life in prison and/or a fine of up to $10,000. It is important to note that Texas law establishes several affirmative defenses to unlawful restraint and kidnapping charges which are facts or sets of facts that may mitigate or excuse alleged criminal conduct. The alleged offender is among officers and employees of the United States or of any agency in any branch of the United States government and any such act against the alleged victim is done while the alleged offender is engaged in, or on account of, the performance of official duties. 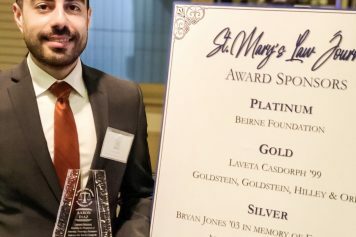 If the alleged victim of a federal kidnapping offense is under 18 years of age and the alleged offender is 18 years of age or older and is not a parent, grandparent, brother, sister, aunt, uncle, or individual having legal custody of the victim, this crime is punishable by a minimum of 20 years in prison. If the alleged offense results in the death of any person, an alleged offender may be sentenced to the death penalty. Texas Penal Code | Title 5, Chapter 20 — Offenses against the person includes unlawful restraint and kidnapping crimes as well as smuggling of persons. You can read the full text of these criminal statutes as well as many of the allowable affirmative defenses for specific charges. AMBER, Blue, Silver & Endangered Missing Persons Alert Programs | Texas Department of Public Safety (DPS) — On this section, you can find information about the various programs the State Operations Center (SOC) of the Texas Division of Emergency Management uses to collect and disseminate alert information when searching for abducted children, missing senior citizens, and endangered missing persons. Links to program overviews, criteria, and request forms are included for each program. You can also find a regional program map that lists the contact information for regional alert programs. If you have been arrested for allegedly kidnapping or unlawfully restraining another person in Texas, you should immediately contact Goldstein, Goldstein, Hilley & Orr. Our criminal defense attorneys in San Antonio have decades of experience handling violent crime cases. Gerry Goldstein, Cynthia Orr, Van Hilley, and Don Flanary are admitted to state courts and federal courts in Texas, including the U.S. District Court for the Western District of Texas and the U.S. Court of Appeals for the 5th Circuit. They can provide a complete evaluation of your case as soon as you call (210) 226-1463 to take advantage of a free, confidential consultation.